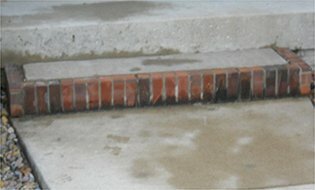 A picture really IS worth 1000 words when it comes to a finished mudjacking project. 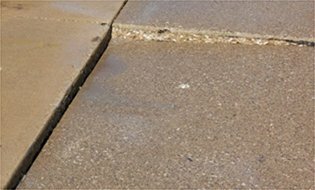 Untreated cracks in concrete can expand with the seasons, creating large gaps in walkways. 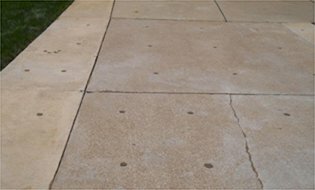 Our concrete crack sealant revitalized this walkway, protecting the path from further damage and levelling out uneven surfaces. 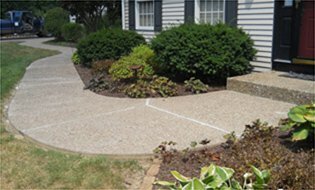 Sunken ground beneath this porch caused a major crack to form, marring the aesthetic appeal of the home. 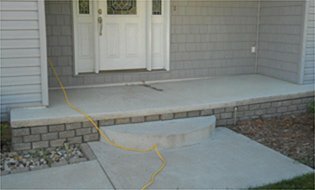 Mudjacking filled the void preventing future damage and raised the porch to the original position to be more aesthetically pleasing. 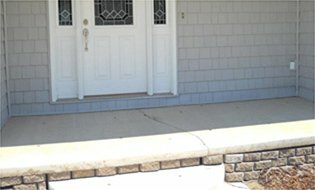 This porch settled and developed a large void and surface crack. 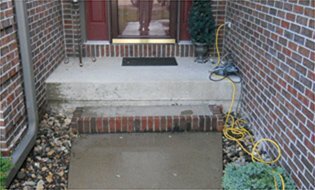 Mudjacking moved the step back to its original level postion. 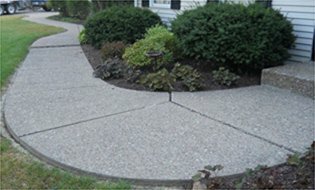 Sunken corners of these driveway slabs cause tripping hazards and shoveling nightmares! 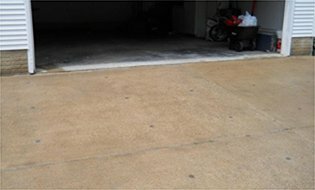 Our team levelled the concrete walkways and eliminated the large gaps between the slabs. 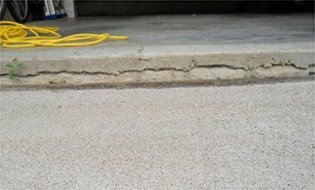 This garage lip created a bumpy ride for these homeowners.